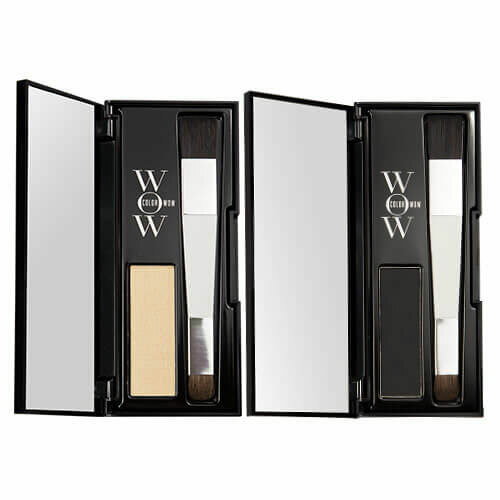 A lightweight powder created to cover up greying hair and visible roots. Formulated with high quality pigments, Root Cover Up is the perfect product for camouflaging troublesome roots and regrowth in-between dyes. 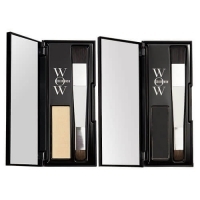 The water-resistant hair correcting powder adheres without a greasy or oily residue giving you a natural looking colour that lasts until washed. Simply swept onto the areas you want to cover, the powder harbours light reflecting particles to achieve a perfect colour match every time. Platinum - Ideal for very light hair. Blonde - Perfect for light to deep blonde hair colours as well as those with highlights. Light Brown - Created for deep blonde to light brown hair colours. Medium Brown - Perfect for mid tone brunettes. Dark Brown - Ideal for deep chocolate toned browns. Black - Developed for very dark brown to black hair. Red - Ideal for auburn and red hair colours.